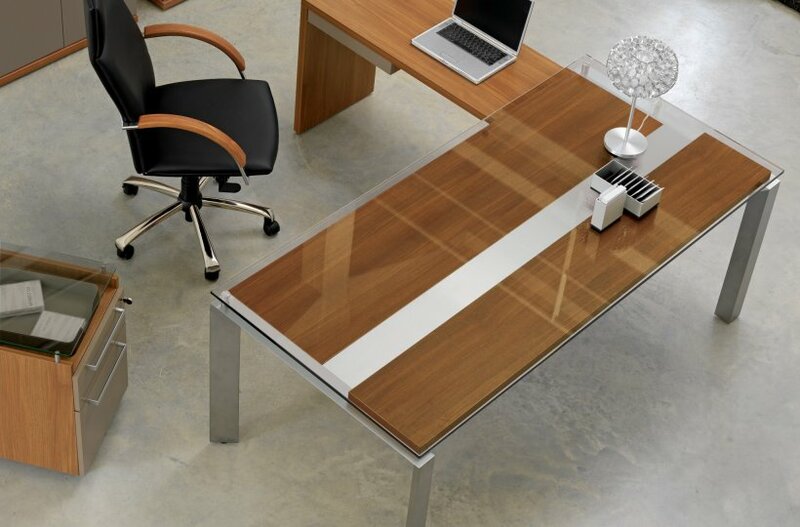 Executive desks in side panel or four leg design in walnut with laquered broze or light oak and white combinations. The four leg version is also available with a clear glass top to add a stunning effect. 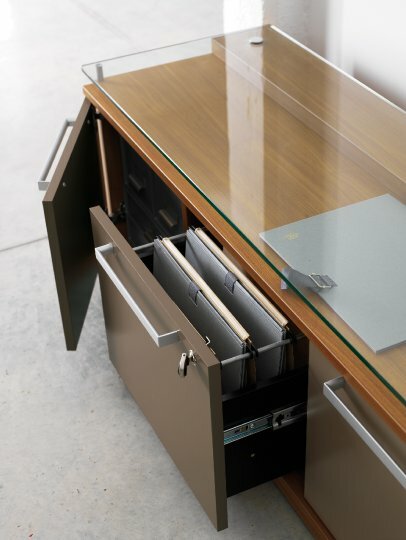 Complementary credenzas and bookcases and cupboards complete this range of designer executive furniture. Sliver is manufactured in France and is available on a 4-5 week lead time. It is ideally suited to executive and high profile areas where a feeling of exclusivity and importance is required.